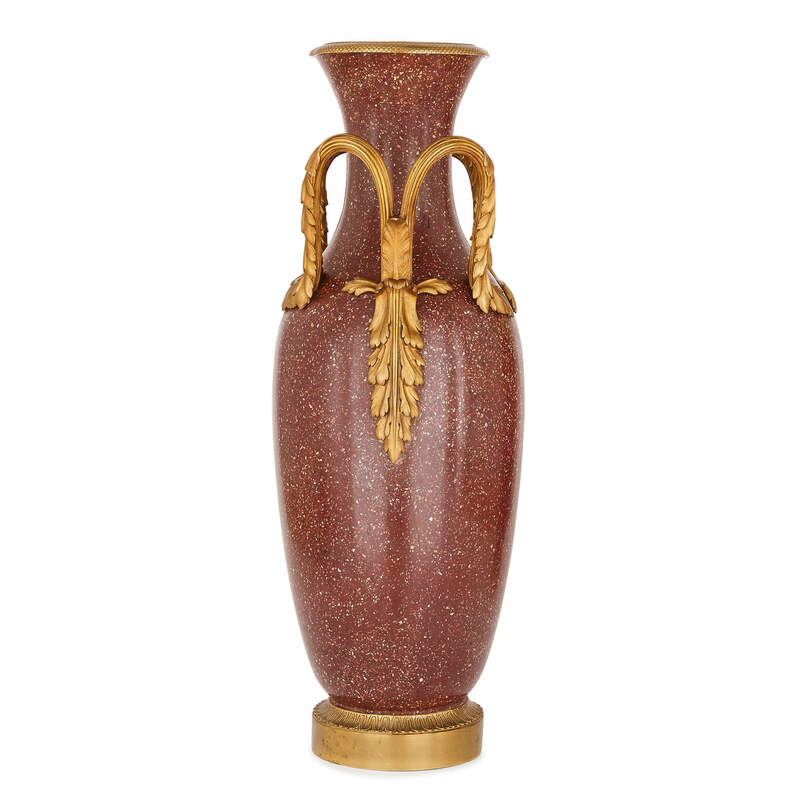 These elegant, stylish Italian scagliola vases have a timeless simplicity, as well as beautiful colouring, thanks to their porphyry-like appearance. 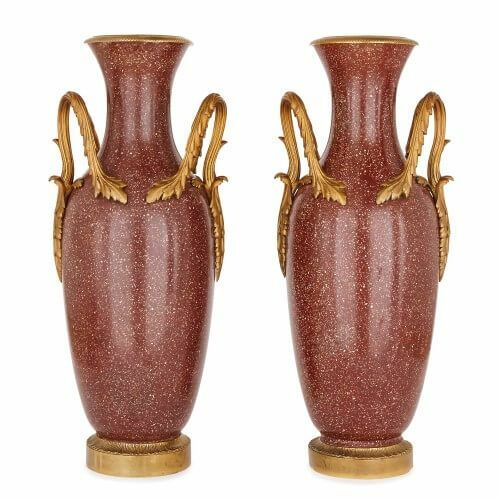 The appeal of these beautiful vases lies in the simplicity of their design, which serves to emphasise their elegantly curved shape and rich colouring. 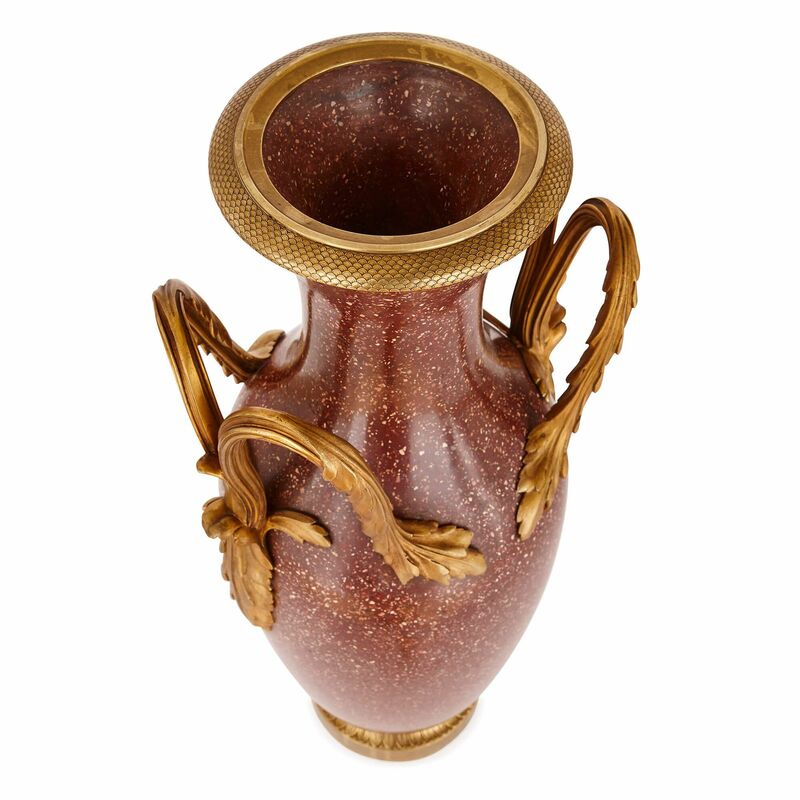 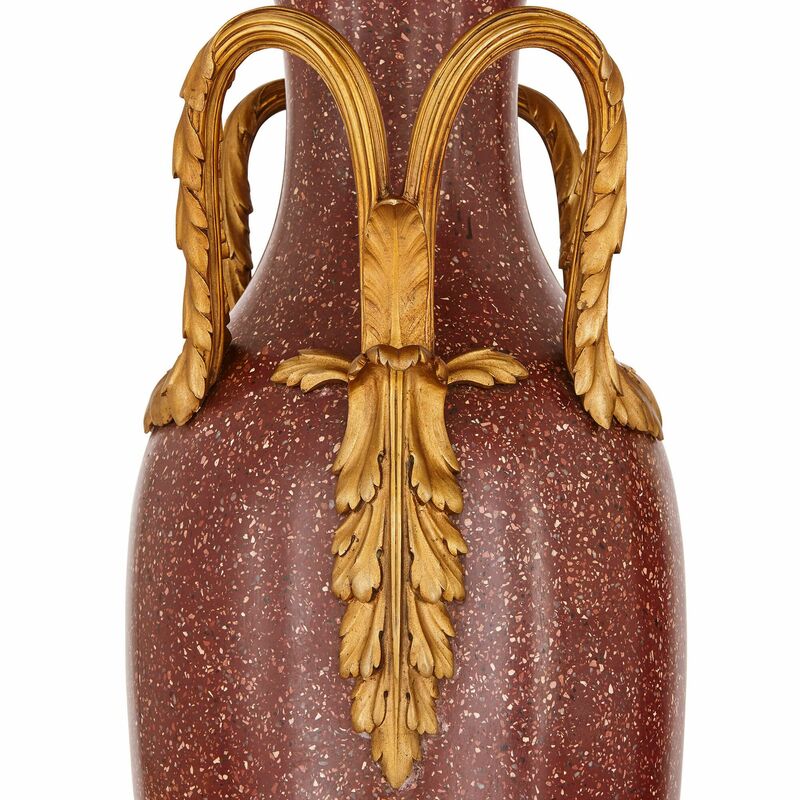 The vases are roughly 70cm in height and made from imitation porphyry scagliola. 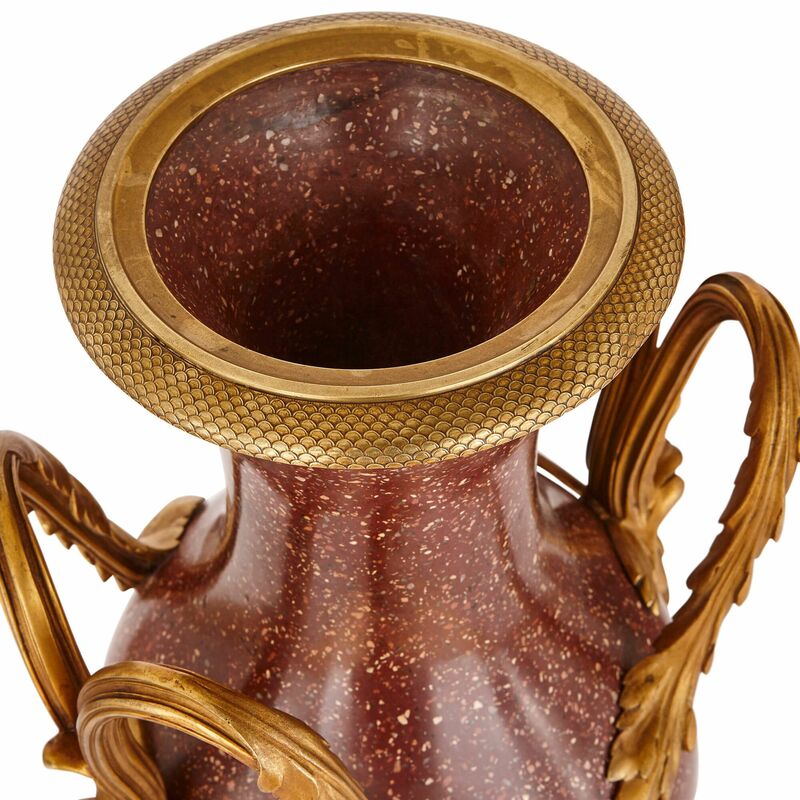 Scagliola is a complex technique for working plaster to appear like marble or other stones, involving mixing it with dye and then polishing it. 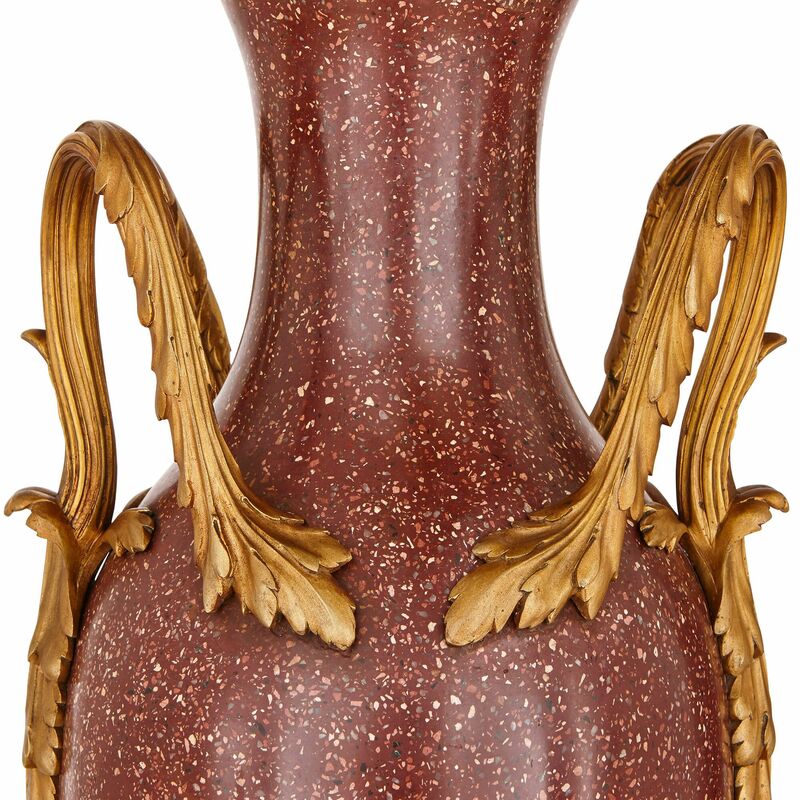 Each vase is mounted with twin ormolu handles which take the form of scrolling acanthus leaves, subtly accentuating the slender form of the vases. 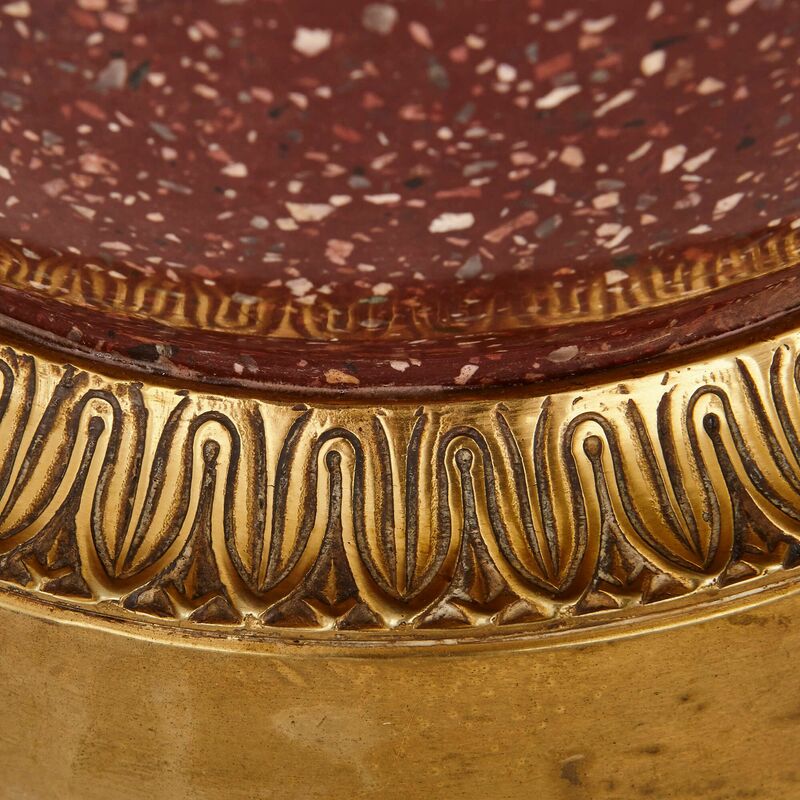 Both vases are also set on circular ormolu bases, each of which is decorated with an egg and dart pattern.